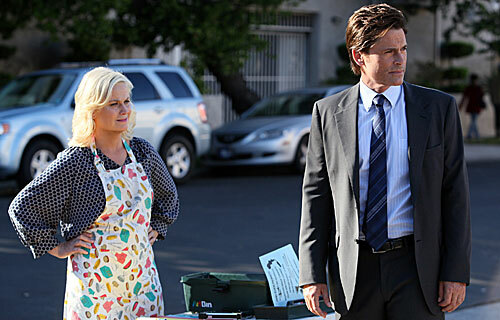 Quick Take, Parks and Recreation, "Smallest Park"
Review, Parks and Recreation, "Smallest Park"
(S0408) I don't know how much longer I can care about Leslie (Amy Poehler) and Ben's (Adam Scott) romance. I understand that it needs to be drawn out since their getting together could very well be the death of the series but Leslie's political aspirations have yet to really gain momentum and the more they talk about it, the less I care. On the other hand, I could watch Andy (Chris Pratt), April (Aubrey Plaza) and Ron (Nick Offerman) go on field trips every week. Watching their unique reactions to ridiculous situations is the bread and butter of Parks & Rec. I genuinely hope Andy keeps up his studies just so we can see more of it. Ron and Andy's father/son relationship is so perfect for way too many reasons to count and if Ron hangs out at the school in order to date that smokin' hot Women's Studies teacher, I may weep with joy. The only good part of Tom's (Aziz Ansari) assignment was the fact that Jerry (Jim O'Heir) finally made him face the truth. Yes, his ideas are fun and funny but they strain the reality of this show, especially after his dismal failure with Entetrtainment 720. The retro logo, while maybe not the best idea in one hundred years, was a great one. Moreover, it's the best example of why Tom has the job that he has. Big ideas on a small budget are clearly his specialty. The ending very nearly brought a tear to my eye. 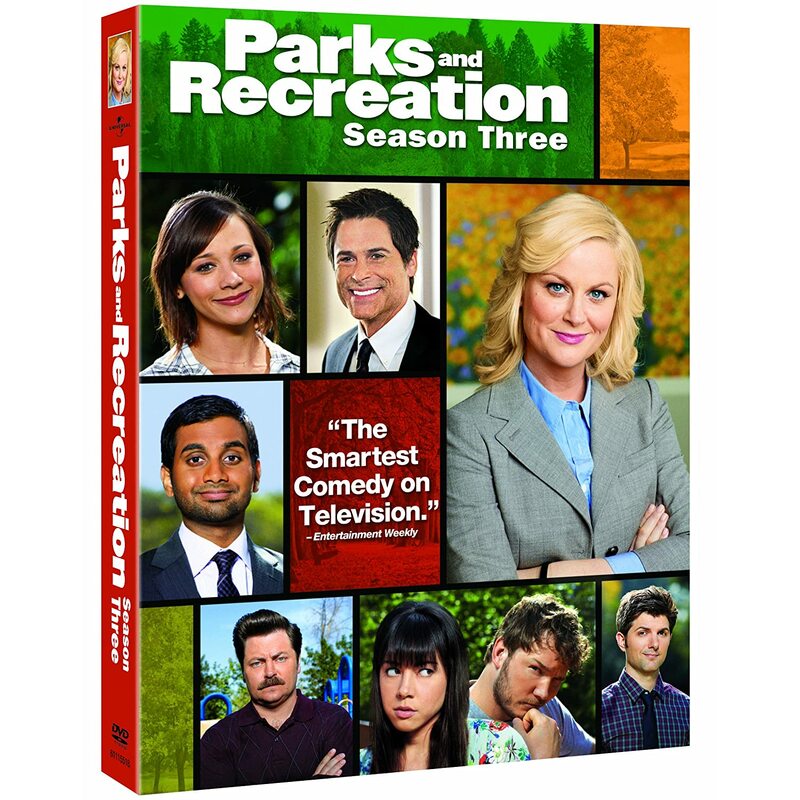 While I don't look forward to wacky hijinks centered around trying to hide a workplace romance, I am overjoyed that Leslie has developed into a real character while still being utterly hilarious. To my knowledge, that's what's called Emmy winning writing and acting. Andy and April are now one of the great television couples, totally agreed. And: I absolutely loved that Ron tagged along with them as Andy explored his educational opportunities. Andy Goes to College could easily be a spin-off show, I'd wager.